Trophy hunting is the legal and selective killing of animals (including endangered species) for sport in return for large sums of money that, in theory, can be targeted back into conservation and research. Supported by hunters and numerous conservationists worldwide, but despised by many animal rights organisations, it is one of the most controversial approaches to conservation out there. Media portrayal of trophy hunting is emotive and very black and white. But does this reflect the reality or can a middle ground be found? 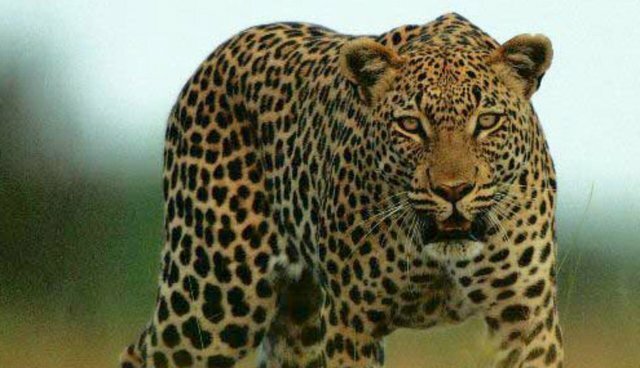 Hunting is big business in Africa with trophy hunting permitted in at least 14 countries, particularly in Southern and Eastern Africa, with South Africa having the largest hunting industry. 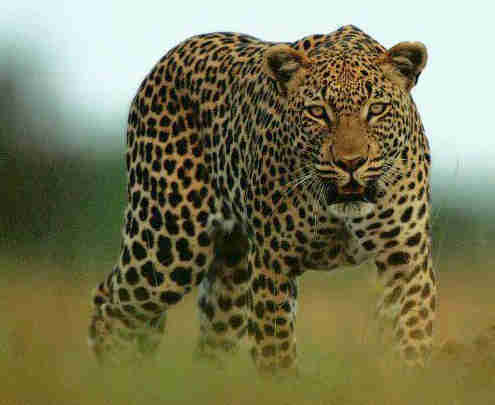 A wide variety of animals can be hunted, ranging from small antelopes to big cats and elephants. 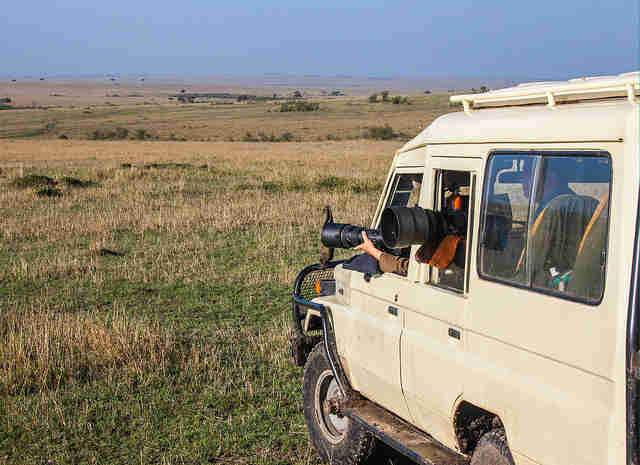 Organisations such as Safari Club International and the Professional Hunters' Association of South Africa assist wealthy tourists in obtaining permits and planning hunting trips. This is not unique to Africa and other species such as polar bears and kodiak bears are also hunted in various locations around the globe. There are several arguments both for and against this controversial practice. The main argument in favour of trophy hunting is based on the revenue it can generate. Trophy hunting in South Africa can bring in more than US $100 million per year, which is actually greater than the amount tourism generates. Hunting potentially has lower environmental impacts too, requiring little in the way of facilities or infrastructure. It is also a viable option in remote, isolated areas that may not be particularly scenic where tourism is not possible. There is potentially a lot of money to be made for conservation; although in an ideal world this would be funded by ecotourism this just isn't feasible; ecotourism alone cannot bring in enough money to support all of Africa's protected areas. Assigning an economic value to animal species can also increase incentives to conserve them. It can ensure that land is set aside for protected areas and reduce conflict between wildlife and local communities. Supporters of trophy hunting believe that it plays a vital role in the conservation of endangered species. One success story is the white rhino in South Africa whose numbers have increased steadily thanks to protected areas and well managed, sustainable trophy hunting. Meanwhile, countries that have banned trophy hunting, such as Kenya where trophy hunting has not been permitted since 1977, have experienced massive declines in wildlife. 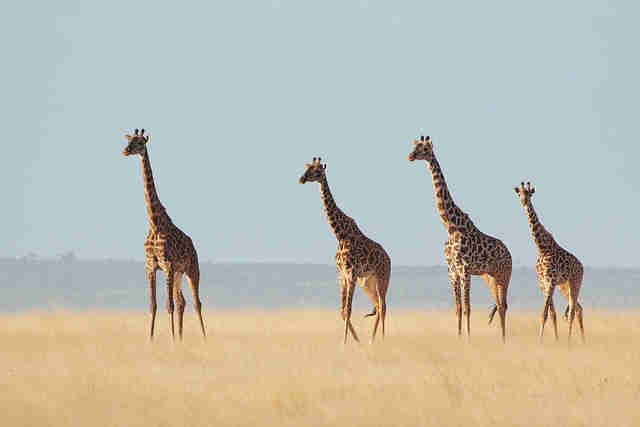 Since 1977, wildlife in Kenya has declined by more than 60%. Management is key for trophy hunting to be successful. Many studies investigate how to define quotas so that animals removed by hunting do not affect the population of the species as a whole. Generally, only males are targeted, and no more than 2% of the population. The animals selected should also be either older, non-breeding males, or younger males who have already contributed sufficient genetic material to their breeding groups. Hunting endangered species is particularly controversial but this is tightly regulated. For example, CITES (the Convention on International Trade in Endangered Species) allows only five black rhino permits for Namibia and South Africa each year. 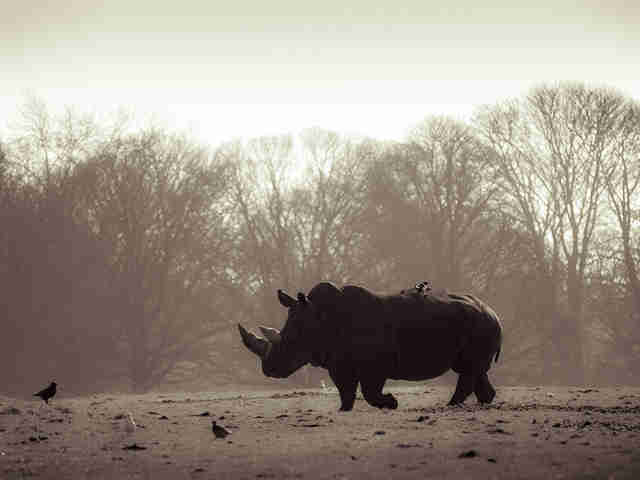 Earlier in 2014, Namibia sold a black rhino permit for $350,000 sparking international outcry. But this rhino was an old, non-breeding male that was likely to be targeted for removal anyway because it was becoming aggressive and threatening other wildlife; culls are part of realistic conservation so why not make some money at the same time? In theory, the idea of generating so much money for conservation is fantastic. But it is difficult to say if money actually goes back to communities or conservation. This can be very hard to monitor and there is a current lack of data on this. In poor countries with weak governance there is a lot of opportunity for corruption. Although there are success stories (such as the white rhino), this is not the case for all species. Lions in particular are declining all over Africa and several studies, for example in Tanzania, have shown trophy hunting to be the main cause. Management of lion trophy hunting may need further research with some factors unique to lions. For example, the removal of males may cause high turnover within prides resulting in more infanticide (new males kill infants when joining a pride to remove offspring that do not share their genetic make-up and to bring the females into oestrus again more quickly). Careful management is also easier said than done. It can be hard to define quotas, especially when exact numbers of existing animals may not be known. Quotas that seem conservative may actually be detrimental to the population, for example, in species where the males provide paternal care. Even with conservative quotas, there may be evolutionary implications to trophy hunting. Hunters tend to target the largest, most impressive looking animals and problems can arise when these factors are actually traits that can be inherited. A study on bighorn trophy rams found that over a 30 year period, body weight and horn size declined significantly. Constant removal of the largest kodiak bears in Alaska for hunting means that they have also become smaller over time. Behavioural changes have also been observed in kodiak bears; some males have become so wary of humans that they change their usual salmon fishing behaviour. Simply, one of the main arguments against trophy hunting is just that it is unethical, morally offensive and gives out the wrong message. How can wildlife organisations tell us that species need to be conserved whilst supporting the hunting of those exact same animals? Hunters that appear to flaunt their kills, such as Melissa Bachman, are met with widespread outcry and petitions. There are also several approaches to trophy hunting that generate even more bad feeling and controversy. Captive hunting, or ‘canned hunting' is becoming more popular and describes the process of breeding animals (generally lions) in captivity specifically for hunting. There is little thrill in the chase as these almost-tame animals are ushered into small enclosures where a hunter waits for them. Using a rifle or, in some cases, a crossbow, the hunters pick off the animal, who has nowhere to hide. Some reports suggests that animals raised in this way are so used to human contact, they actually approach the hunters looking for food; an upsetting image for any animal lover. It is easy to understand why trophy hunting is such an emotive subject. No animal lover, and indeed no conservationist, likes the idea of majestic animals being shot dead all in the name of sport. To make money out of this act makes it seems even more reprehensible somehow. And when endangered species, some at the brink of extinction, are involved then it is even harder to reconcile. However, conservationists have to be realistic. We don't live in an ideal world where we can save every animal and protected areas can be supported using money from tourism alone. Many animals are declining fast, and not because of hunting. Endangered species face many threats, from habitat loss to conflict with people. Trophy hunting provides one solution, not a perfect solution by any means, but one that may have an important role to play. But management is extremely important. Trophy hunting can be a useful tool in conservation as long as research into appropriate quotas continues and successful management ensures that these are adhered to. Certification is one idea for improving this. This system would give each hunting operator a rating based on their commitment to conservation and agreed ethical standard, their adherence to legislation and quotas and their monetary contributions to conservation and communities. This may provide a way to control trophy hunting, ensuring that wildlife populations are not adversely affected whilst still bringing in revenue for conservation and research. Rose Argall is a research and development Intern at Frontier, an international non-profit volunteering NGO. Frontier has over 300 dedicated conservation and community development projects as well as plenty of inspiring gap year ideas to help make your time out meaningful. For more information on all the opportunities available please visit www.frontier.ac.uk. Check out Frontier's blog ‘Into the Wild' where you can read more articles like this! Happy reading!